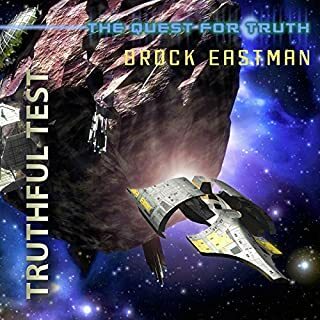 Would you listen to Truthful Test: An Oliver Wikk Adventure again? Why? Yes, this is a great story for kids (boys especially). What other book might you compare Truthful Test: An Oliver Wikk Adventure to and why? Draws you in to Eastman's creative world, and makes you think. Only hope their will be more auidobooks of Eastman's work.